The Armstrong Pirate Softball team gathers together before departing for the NCAA Division II World Series in Salem, Virginia. 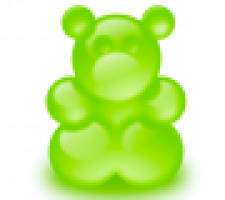 In dit leermiddel vind je de liedtekst van het lied I'm a Gummy Bear. This course analyzes the functions of a complex variable and the calculus of residues. It also covers subjects such as ordinary differential equations, partial differential equations, Bessel and Legendre functions, and the Sturm-Liouville theory. Author(s): Margetis, Dionisios,Bush, John W. M.